Anthony Haslage is a Business Administration student with an overall 2.75 GPA. Anthony Haslage was formally a city of Lorain Ward 6 City Council candidate. Anthony Haslage conceptualized LCCC Radio: The Duck. Anthony Haslage is the writer/editor of the Collegian and created the Club Cache feature. Anthony Haslage is the writer/host of the Politically Crowded program currently airing on LCCC Radio: The Duck. Anthony Haslage currently organizes monthly community events at the Lorain Public Library South Branch. Anthony Haslage is the former Financial Secretary of the Radio Club and is the current President of the Creativity Club, quintupling the club’s assets. Fa 2002 to Sp 2004 – A writer/editor of the college newspaper, the Collegian. Created the Club Cache feature. Sp 2003 to Sp 2004 – Organizes monthly community events at the Lorain Public Library South Branch. Fa 2003 – Financial Secretary of the Radio Club. Sp 2004 – Co-creator of the Creativity Club. Sp 2004 – President of the Creativity Club. Quintupled club’s assets. Sp 2004 – Writer/Host of Politically Crowded program aired on LCCC Radio: The Duck. 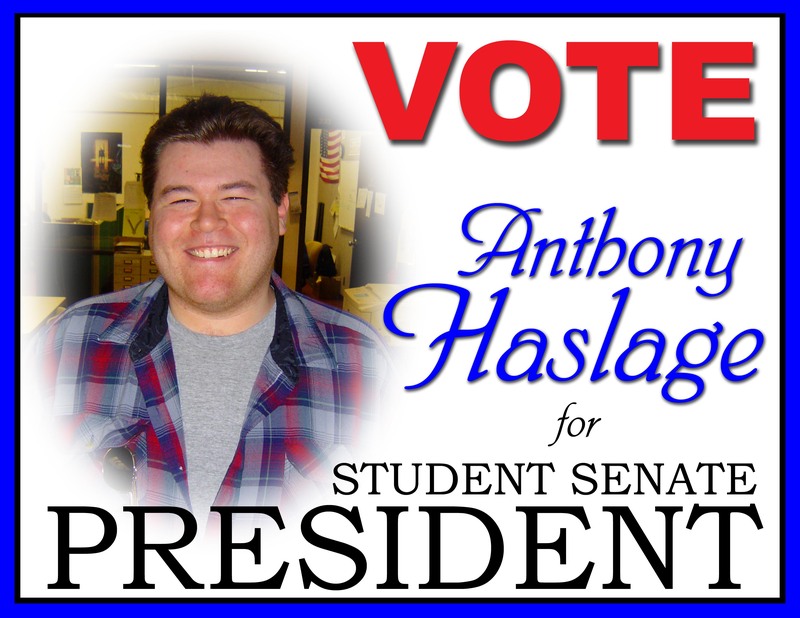 Sp 2004 – Student Senate Presidential Candidate.